With spring just around the corner, we sometimes experience both the “lion” and “lamb” weather that is typically associated with March. In some parts of the United States, this phenomenon can happen in a matter of days. These extreme weather conditions can sometimes cause a variety of skin problems, requiring extra care. That is why I have chosen Young Living’s Orange Blossom Facial Wash™ as the focus of this blog post. It is the perfect way to start and end your day (especially during this crazy time of year). 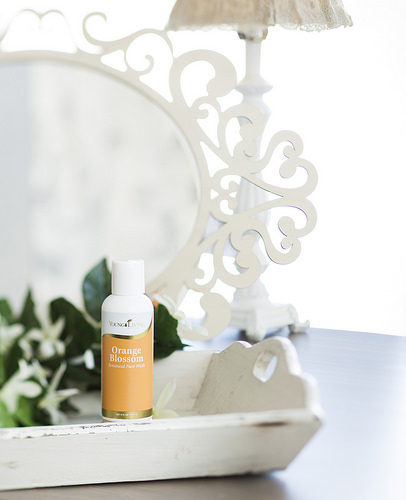 I have loved hearing from you, and to motivate you to share your experience, I will be giving away ten bottles of Orange Blossom Facial Wash to randomly chosen commenters, as well as posting your testimonials. Leave your comment on this blog or send it directly to me at grusso@youngliving.com. I will happily respond and send ten lucky people an Orange Blossom Facial Wash.